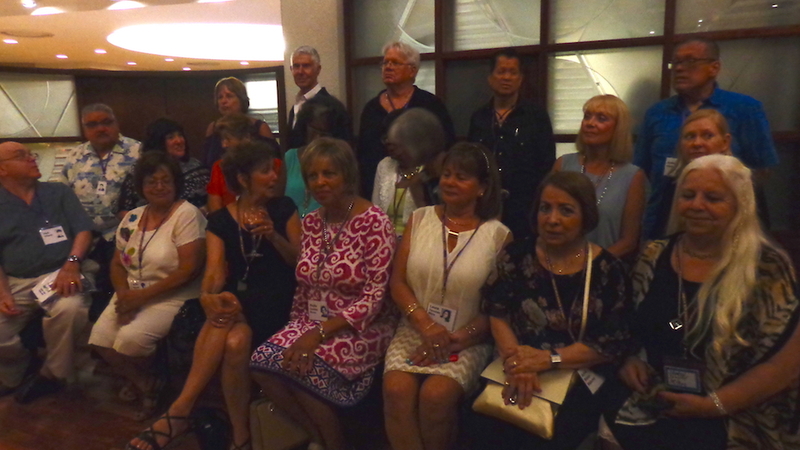 James H. Bowen High School's Class of 1968 held its 50th year reunion on August 11, 2018! We had 251 guests and the "reunion gods" worked as one to provide us with all the ingredients for a magical time. Click on Reunion Pictures to see for yourself. And please, upload any pictures you took so those of us who are not on Facebook can view them. This site will be open indefinitely for pictures, messages, announcements. Let's all keep in touch! How to Contact Us: Use the Bowen Class of 1968 Facebook page (https://www.facebook.com/groups/387785831291857/) or email us by clicking "contact us" on the left column of this page! 7:45 PM – Opening Comments – Hi I’m Ronnie Springer. My home room teacher was Ms. Ethelen Hare in Room 305. 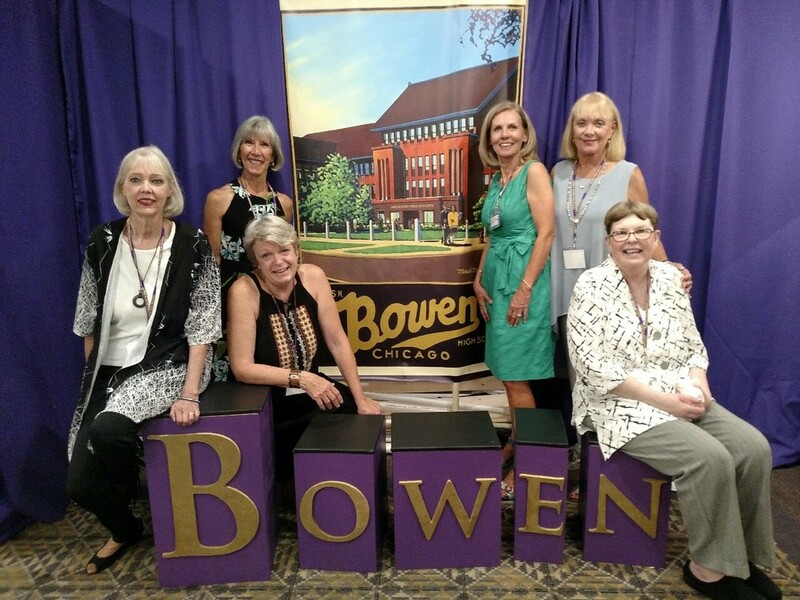 On behalf of the planning committee, welcome to the Reunion of the Bowen High School Class of 1968! 50 years since a time and place that has become such a significant part of our lives. A time that for many of us helped define so much about who we are today. A time where so many lifetime friendships were forged. The time was 1964-1968, a tumultuous period when our country and culture went through so much change while we were going through so much personal change as we grew from adolescence to become young adults. In 8th grade, just before Thanksgiving we all experienced Breaking News for the first time with the assassination of President John F Kennedy, then the Vietnam War, then just before graduation was the assassinations of Martin Luther King and Robert Kennedy and just after graduation we witnessed the violent protests at the Democratic Convention in Grant Park. Then literally just days after that, for many of us we were off to college, full time jobs or to serve in the military. While other high schools and reunions all think they are special or unique there is something that made our Bowen friendships and memories so strong. I see postings on Facebook and the amazing number of south siders who have remained friends and still stay in touch is undeniable. I look around this room and I know the friendships that so many of you have with one another are still really strong and lifelong. So where does this connection come from? We were the beneficiaries of The American Dream. For many of us our grandparents were first or second-generation immigrants. Our parents were part of the greatest generation and the wartime effort in World War II. About the time we were born in 1950 the GI Bill was passed and for many of our parents they were now able to go to college or learn a trade and were able to buy their first house. We lived in a great metropolitan area that had everything to offer including neighborhoods like South Shore Gardens, South Chicago and the Manor. We grew up with some great sports teams like the 1959 Go-Go White Sox, the 1961 Stanley Cup Champion Blackhawks and the 1963 World Champion Chicago Bears. By taking the CTA’s Jeffrey 5 bus or the Illinois Central we could easily get downtown and be at the main Chicago Public Library, the Art Institute, see a play at the Goodman Theatre or in my case in 1967 I went to see Jimi Hendrix at the Auditorium Theatre. For many of our families we were living the American Dream, and for most of us and our siblings we were the beneficiaries. Our families gave us love and the opportunity to have a wonderful childhood and to make something of our lives. 3 We had Diversity. Probably more than any other high school in the Chicago area. It was a time in America’s history where much of our country was just waking up to the fact that the civil rights of so many Americans were not being honored, and integration was anything but commonplace. At Bowen we had sizable groups of Caucasians, African Americans, Hispanics, Serbians, Irish, Protestants, Catholics and Jews, spanning all socio-economic levels…learning, playing and developing relationships with one another. We learned about our differences and often found out about how similar we really are. We learned to walk your talk and that your word defines you. We learned that south siders can dish it out…but we can also take it. And we had Community. We lived in a part of Chicago that was tucked away in the southeast corner of our city. It was our little piece of the world and it had everything we needed. We had the wonderful shopping areas on 87th and 95th Streets, as well 91st and Commercial. There was bowling at Dom Devitos and baseball at Southeast Little League. Boy Scouts and Girl Scouts. We played in the great parks of the area, Stoney Island (now Jesse Owens Park), Bessemer, Calumet and Trumball Park. And we all had Rainbow Beach. And compared to high schoolers today we wouldn’t need Social Media…cause we had Socials! We had dances at Bowen, at our community centers, our churches and in our basements in arguably one of the best 4 year periods of music ever. And we all loved the last dance especially, a great slow dance to Johnny Mathis singing Chances Are! Many of us had relatives who lived in our area & everyone seemed to know or know of each other. We lived in a one degree of separation world and Bowen was a big part of it. We were part of a real community. Something science has proven to have such a positive effect on our lives. Perhaps its’ that sense of belonging to that time and place that creates such strong feelings for the Southside and Bowen High School. It was instilled in us as we grew up and is now part of our DNA. 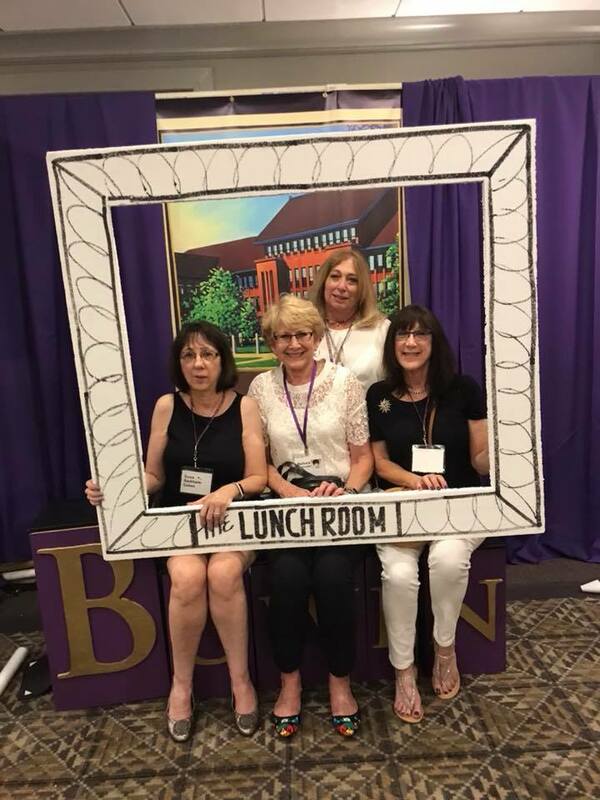 So please raise your glass, here’s to Purple and Gold, here’s to being a Boilermaker, here’s to the Bowen High School class of 1968! take to finish. This one took 3 weeks. But the real answer is more involved. The truth is the length of time it takes an artist to complete a work is the entirety of their life’s experience, training, and work. So this painting took 68 years. Within those years was our time at Bowen. I’m dedicating this painting to the memory of Bowen teacher Jerry Garden. I had him for art in Sophomore and the beginning of our junior year before he moved to California. Jerry helped me through some difficult times during my sophomore year. Jerry and I remained friends until his passing in 2009. he loved all of you that were in his class. He continually asked if I was in contact with you. He mentioned you by name with fondness. Jerry signed all his letters to me “Bowen Teacher, Jerry Garden.” I’m dedicating this painting to the Reunion Committee. I wish I knew all of you in the committee when I was we were together at Bowen. The energy everyone has is heartwarming and contagious. I want to mention classmate and fellow artist Carol Gold Melnick. When the reunion was first taking shape we happened to email each other. She asked me if I was going and I replied, “I don’t think anyone would really remember me.” But she stood firm and the next thing I knew I was on the committee. They are so much fun to work with. And I’m dedicating this painting to all of us in the class. All of you. Whether we all knew each other directly, or just passed each other in the halls we have a shared experience from our youth. When I was a trainman on commuter trains through the northern suburbs I saw some of you riding to work. We even visited on board. When I was an engineer on the South Shore Line, each day as I passed Gately Stadium I would look over and imagine a football game and being in the band. i would give a toot on the air horn as we passed. On the way home when I would stop at 59th Street, University of Chicago, I would slide the cab window open, stick my head out, facing the Cafe de Medici…I would stick my tongue out. That’s where i broke up with Nancy Henning. Bowen and our class has never been too far from my heart, and I hope that comes across in this work. It’s been difficultly being an artist. People say crazy things to you. Once while I was at my booth at an event selling and autographing posters this couple comes up to me. They looked at me and they looked at my name, and then they looked at me and said, “We’ve never heard of you before.” I replied, “That’s OK. I never heard of you either.” They went on to ask, “Have you done this all your life?” I answered, “I don’t know yet.” Then they started going through all my posters as if they were picking up clothes on the floor of their kid’s bedroom. They stopped, held one of the posters up and asked, “Will this be worth something once you’re dead?” I said, “Geepers lady. I though it was worth something now.” So as long as I’m still around make sure you pick up your poster and I’ll autograph it for you. Thanks so much.